God isn't after change, that happens all the time: God wants transformation! Politicians talk about change as if it is some precious metal not easily mined or the holy grail to be recovered. They tout their ability to bring change. They may even talk about the quality of change they hope to bring. They all seem to ignore one basic truth. Don't misunderstand me. The experience of that change may not be easy. However, change is as predictable as the sunrise. Change is everywhere. Change happens whether we do anything or not. Whether we want it or not, change is the constant that interrupts, redirects, and enlivens each of our lives. Transformation is hard. Transformation is a change with a focused goal and a clear outcome. Transformation takes us from something steady, somewhere mundane, and someone predictable and moves us to a whole new level of life. Transformation removes the steady, the mundane, and the predictable and replaces it with a whole new way of being. Transformative change, the process of genuine transformation, is radical. Going through it is challenging. Most of all, it is life-altering. So what kind of change, what kind of real transformation, does God wants to see happen in each of us? A disciple is not above his teacher, but everyone when he is fully trained will be like his teacher (Luke 6:40 ESV). My dear children, for whom I am again in the pains of childbirth until Christ is formed in you (Galatians 4:19). To them [God's people] God has chosen to make known among the Gentiles the glorious riches of this mystery, which is Christ in you, the hope of glory. He is the one we proclaim, admonishing and teaching everyone with all wisdom, so that we may present everyone fully mature in Christ. To this end I strenuously contend with all the energy Christ so powerfully works in me (Colossians 1:27-29). Now the Lord is the Spirit, and where the Spirit of the Lord is, there is freedom. And we all, who with unveiled faces contemplate the Lord's glory, are being transformed into his image with ever-increasing glory, which comes from the Lord, who is the Spirit (2 Corinthians 3:17-18). We have to decide to begin the process of transformation as an immediate priority. We have to spend time with Jesus and learning from him on a daily basis if true transformation is going to take place. I will help you become. 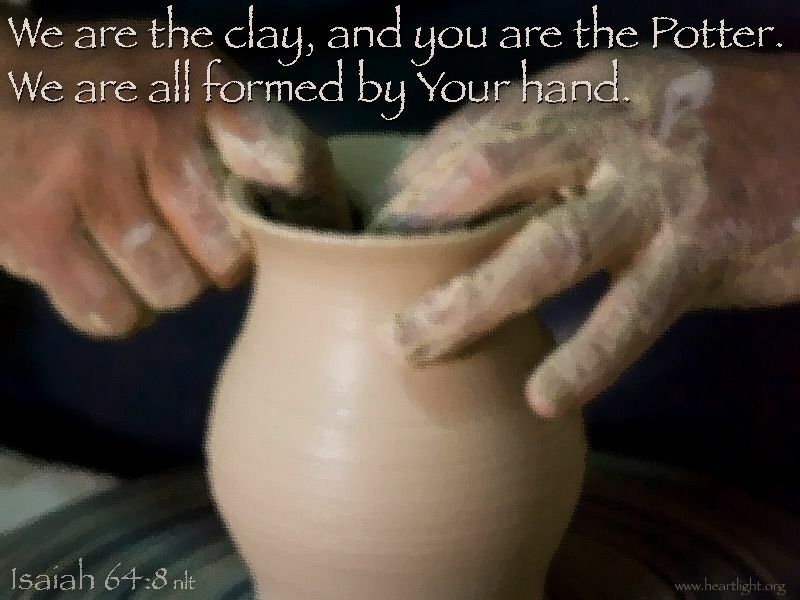 Jesus has promised to help us in this journey of transformation; in fact, his job is helping become, to be transformed. A key part of stage two and stage three are re-emphasized in Paul's words to the Corinthians. We have to follow, and he empowers the becoming. Paul is more specific with the Corinthians. He's basically saying, "Keep your eyes on the prize! Focus on and contemplate on Jesus — focus on what he taught, rejoice in who he is, and notice how he did it. If you do, the Holy Spirit will transform you to be like him!" Our goal, our prize, is to become like Jesus. 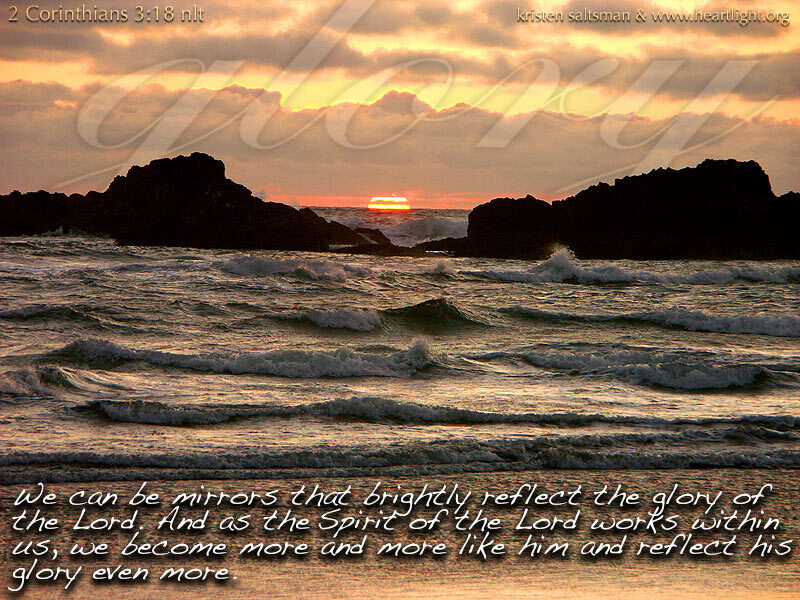 We want to be "transformed into his image with ever-increasing glory" as we "fix our eyes on Jesus" (Hebrews 12:1-2). This transformation may not happen quickly. However, like water running consistently over limestone, the nature of Jesus wears its way into our demeanor, our character, and our compassion. The Holy Spirit transforms us because we make Jesus our all-consuming passion. If we want to become more like Jesus, we must realize that the goal of our lives is not changing, but Jesus. He is the prize we hope to become. We cannot attain this prize on our own. Incredibly, as we focus more and more on Jesus, we find ourselves transformed by the Holy Spirit. God is still working on each of us (Philippians 2:13; Romans 8:28). As Paul emphasized, mature disciples realize they haven't yet attained their goal of full Christ-likeness (Philippians 3:12-14). As Jesus becomes our focus, our all-consuming passion, the Holy Spirit continues the work doing what we cannot: he transforms us to be more like Jesus. The Spirit takes responsibility to handle stage three: "I will help you become." Does this take a while? Yes, a lifetime. Will I get impatient with my setbacks and the long wait to become all I want to be? Yes, but you will find life so much richer and Jesus so much more than you ever imagined as you see yourself becoming what he wants you to be. So where do I start with this focus? How do I keep my eyes on the prize? You can find a more detailed explanation below, but the bottom line is really pretty simple to understand. Focus on Jesus each day. Read some of his story every day from one of the gospels. Memorize some of his words regularly. Consciously react to a situation NOT as you are tempted to react, but as you believe Jesus would try to act in that situation. Thank him for good things that happen — not necessarily in a prayer, but as a companion who walks with you. Share with him the things that make you struggle. Is transformation really that simple? There will be a tweak or two we will add to the process, but remember, we supply the focus — we come to Jesus, and we follow — he promises to use the Spirit to help us become! So where do I start with this focus? How do I keep my eyes on the prize? This article is the second part of a 4 post series on Jesus' process of transformation. What follows the list of the 4 post is a more detailed plan of growing in Jesus as I make Jesus my highest priority, I follow after him, and he helps me to become! The Journey with Jesus to Transformation. Keeping My Eyes on the Prize. Learning to Dance with the Spirit. One of the most powerful spiritual practices I've found is to read one chapter each day from one of the gospels — Matthew, Mark, Luke, and John. Begin with a simple prayer for help, read one chapter a day, answer 3 questions, then close with a simple prayer. I like this order for reading the gospels: John, Mark, Matthew, Luke. Father, I ask that the Holy Spirit help me to hear today what Jesus wants to me to know, to feel, and to do based on spending time with him in your word. I ask this in Jesus' name. Amen. Lord Jesus, please make me aware of your nearness and guide me through the Holy Spirit to be the person you want me to be. Amen. "Keeping My Eyes on the Prize" by Phil Ware is licensed under a Creative Commons License. Heartlight encourages you to share this material with others in church bulletins, personal emails, and other non-commercial uses. Please see our Usage Guidelines for more information.